Crabgrass! The what, why and how of dealing with it! What is crabgrass? Why is it so bad? How do I get rid of it? It seems like these 3 questions will get asked every single year from now until the end of time. 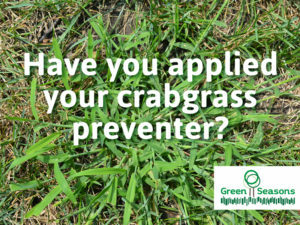 Have you applied your crabgrass preventer? 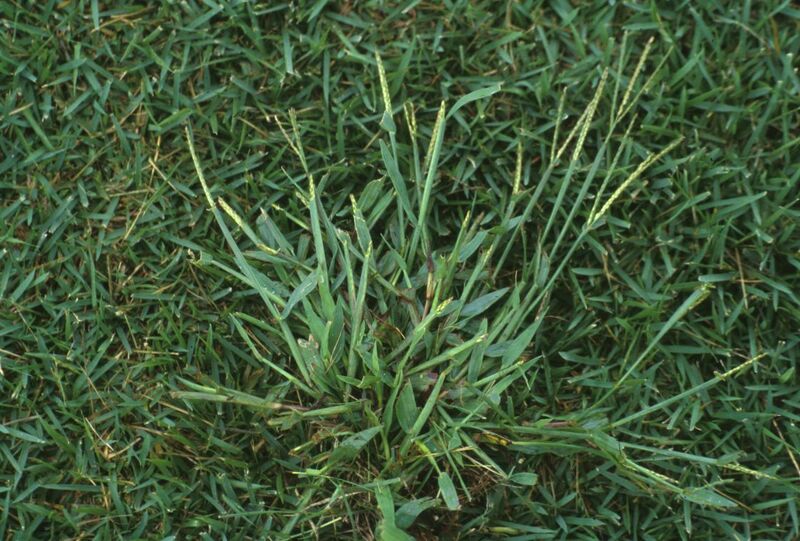 Crabgrass is a summer annual grass, meaning that it germinates when the soil warms up (55 degree soil temperature) and dies when there is a frost. It originates from Southern Africa is primarily used a forage for livestock. In our Midwestern climates, summers get really how and often dry. 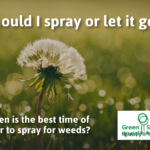 Unless there is a sprinkler system present, these conditions usually stress the Kentucky Bluegrass and Turf Type Fescue lawns that dominate our neighborhoods. 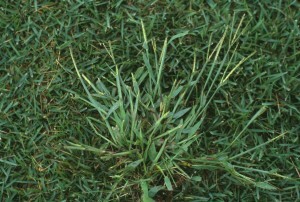 The unfortunate reality is that crabgrass, as a weed, loves the hot and dry conditions that our average summer brings. This allows crabgrass to thrive and often overtake portions of the lawn leaving dead spots in the fall when the crabgrass dies. 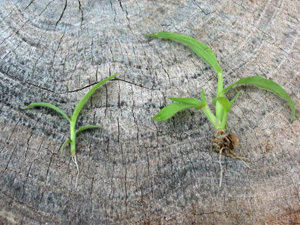 On the left is the 2-3 leaf stage of maturity of crabgrass. The absolutely, positively, best way to get rid of crabgrass is to apply a crabgrass preventer in early spring, usually March-mid April. This will ensure that the crabgrass seed (that will never go away) will not germinate and grow. By doing this, you will eliminate the competition for your desired grass. Barricade is the trade name of the Prodiamine Herbicide. It is my favorite because it is the longest lasting and the most cost effective. 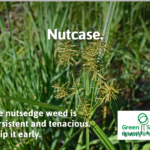 If you are a little late putting on the crabgrass preventer, then you do have another option. Dimension Herbicide is a specific crabgrass preventer that still has some effectiveness, even though the crabgrass has already germinated. If you can observe the plant and see if it is still in the 2-3 leaf stage, then you are still able to apply Dimension Herbicide. It will cost more than the Prodiamine Herbicide, so I wouldn’t recommend doing this every year. If you forgot to apply a crabgrass preventer, then you can use certain herbicides like Quinclorac to control crabgrass after it’s popped up. 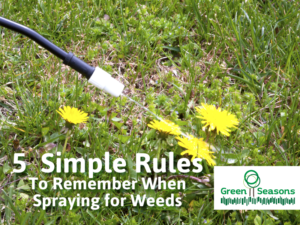 You will want to spray as early as possible, as soon as you see it. You will likely see it start popping up in May. You certainly will want to spray it before it goes to seed, otherwise, you will potentially have more to deal with the following season. Crabgrass un-mowed and having gone to seed. The thing that you need to remember is that once it gets hot, you will have a much more difficult time killing it. Once the leaves have started to get a red tinge to them, it could be a lot more difficult to control. Well that’s all folks! I hope this helps you with your journey to creating a great looking lawn! If you ever have any questions or decide you’d like to have a professional take care of it for you, don’t hesitate to call! 816-532-0173! 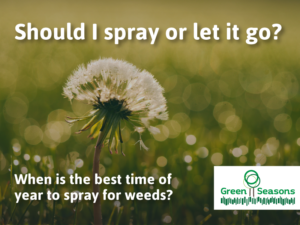 When is the best time to spray for weeds? 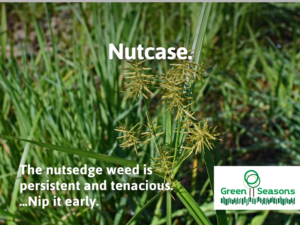 How do I control Yellow Nutsedge, the worst weed in the world! 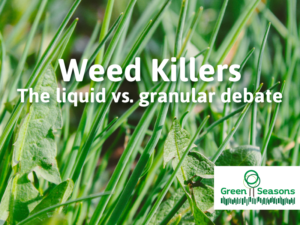 Weed Killers, the liquid versus granular debate!